attribute (e.g king of the road) attribute (e.g king of the road) (required)King of the RoadYou're A Total Cyclepath!Master of CycologyHave A Wheelie Great Day!Enjoy Your Life Behind Bars! attribute (e.g king of the road) (required)King of the RoadYou're A Total Cyclepath!Master of CycologyHave A Wheelie Great Day!Enjoy Your Life Behind Bars! attribute (e.g king of the road) (required)King of the RoadYou're A Total Cyclepath!Master of CycologyHave A Wheelie Great Day!Enjoy Your Life Behind Bars! attribute (e.g king of the road) (required)King of the RoadYou're A Total Cyclepath!Master of CycologyHave A Wheelie Great Day!Enjoy Your Life Behind Bars! 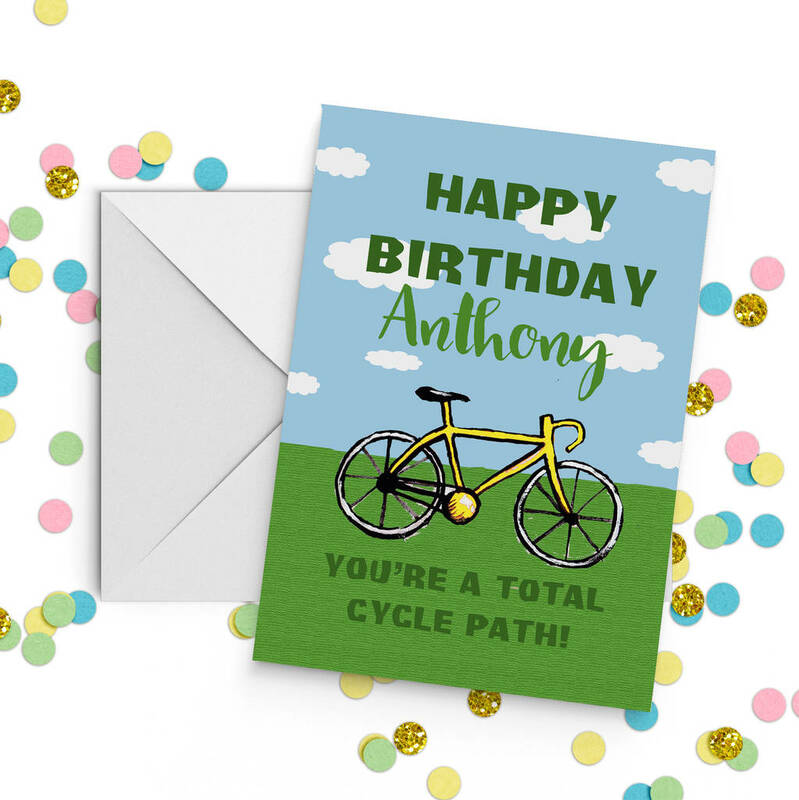 Say happy birthday to a biking fanataic! 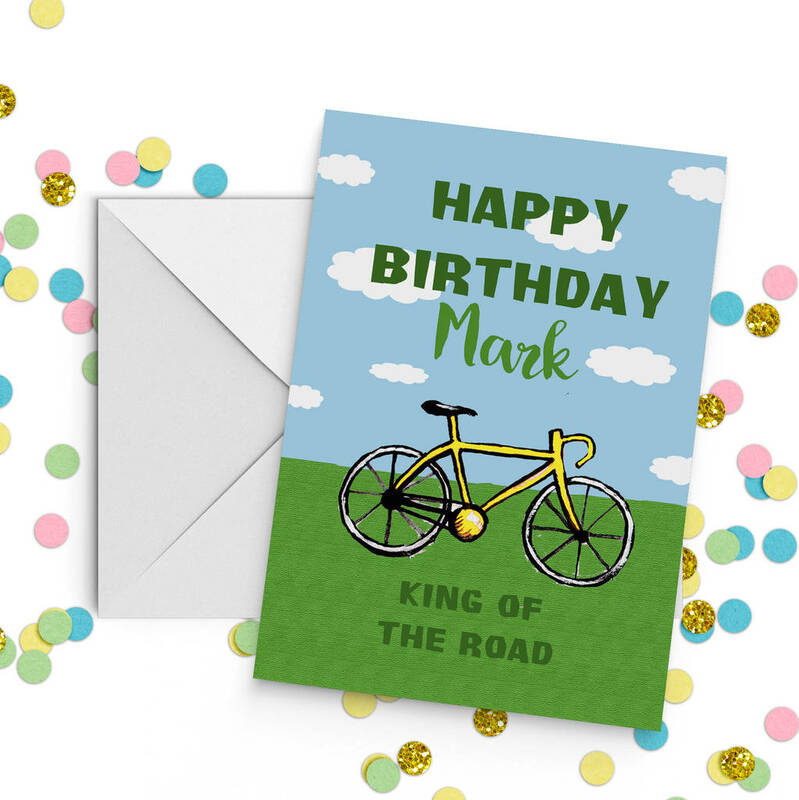 A funny cycling card to happy birthday to a total cycle path, king of the road or any other cycling related pun! Design is printed on 300gsm Olin Matt board with a slight texture and professionally printed with a full colour digital print. This is a tactile paper that is environmentally friendly and produces the highest quality print. This is an A5 size card supplied with a white envelope.